Annual adult membership fees are $200 or $30 for Juniors. 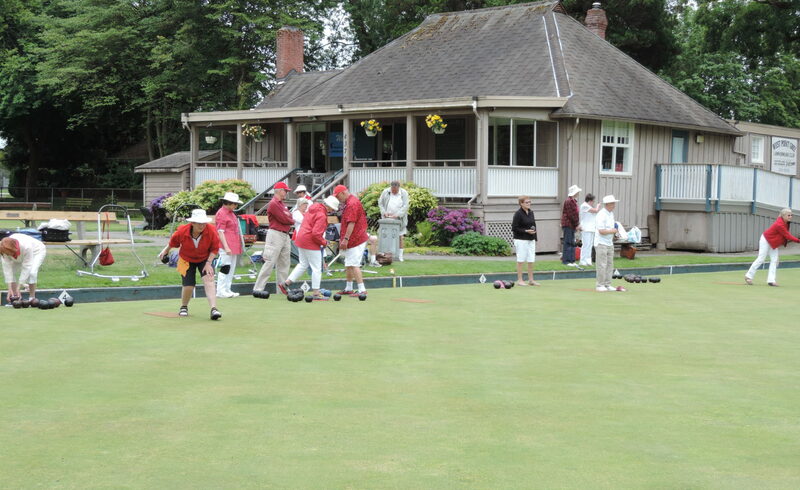 New bowlers pay $100 for the first year and Social Members pay $20; user fees of $1 or $2 are charged for some draws and there are various fees for club tournaments, usually $5. We have a wonderful group of coaches who gives lessons to all new bowlers for $20, which is deducted from their fees when they join. Coaches are also available and willing to help any club bowler who could use a little “fine-tuning”. Bowls are available free for first year members; in fact we encourage you to try out club bowls for a year before you buy. After that, if you haven’t purchased, you may “rent” bowls from the club for $30 a year on a daily “first come, first served” basis. Dress is casual. Shoes must not have heavy treads or definite heels – these damage the greens. Either “Whites” or club team shirts are worn for tournaments. There are a limited number of club team shirts available to rent for tournaments for a $2 fee per useage. The rest of the time? Colour is great! There is a Bridge Club which meets Mondays (Duplicate Bridge – $2) and Fridays (Chicago Bridge and tea – $3) all year at 7:00 pm. Bridge members are always welcome at all WPG social functions. We also have are Barbecues, Pot Luck Dinners and our Christmas Dinner. We always welcome new ideas! What Makes The Club Tick? We have a very active and hard-working executive board, but the success of the club is due mainly to the wonderful volunteers who pitch in at every level. We have a steady group which comes out once a week to work in our “almost-famous” gardens under the direction of Jane Puusepp. Colin Grady heads up the Greens crew which helps keep our rinks in such good shape. We have work parties which gather to clean the clubhouse, paint the outside, put out the equipment, cater meals, wash the dishes, write the bulletins and who do all the other things (often unnoticed) which contribute to our amazing atmosphere.